Carroll Bros recently received a call from a home owner about a Vinyl Liner Pool Removal in Annapolis Maryland. 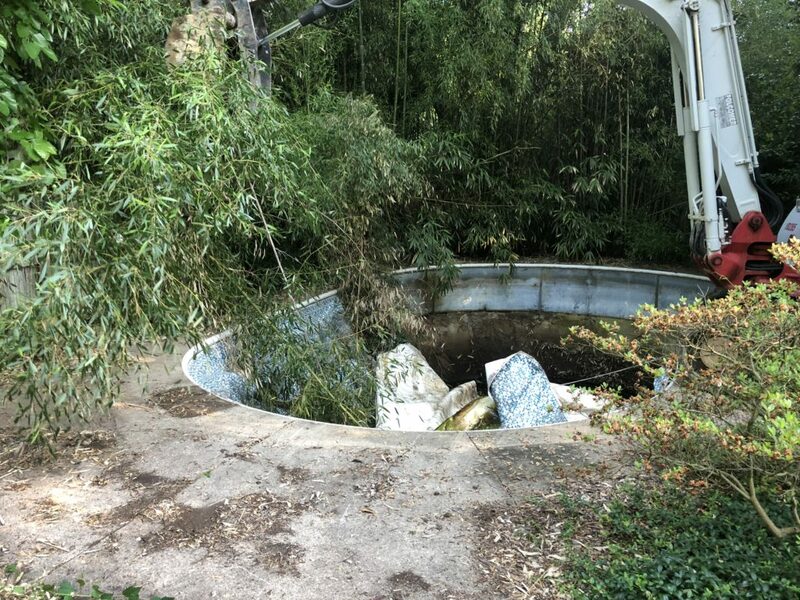 The home owner stated that the city of Annapolis was getting involved and wanted something done with the pool; which was old, never used and surrounded by overgrown vegetation including bamboo that was actually growing in the pool. As you can see from the picture below, this pool was in rough shape, never used and was an eye sore. The home owner hadn’t used the pool in years, and Bamboo which was used as a property line was now growing all around and in the pool. The city of Annapolis contacted the home owner stating he must do something about the situation; after thoughts about trying to fix the pool, this home owner decided the easiest solution was to get the pool removed and reclaim some of his yard and clean up the vegetation as well. 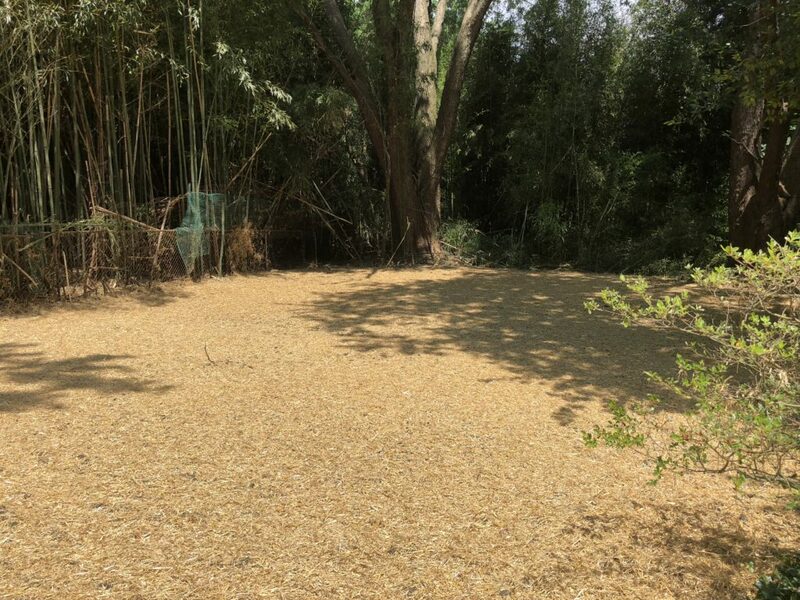 This was a difficult task for Carroll Bros Contracting, not only did we have to remove the pool and concrete patio around the pool but we had to remove all the over grown bamboo and other vegetation surrounding the pool and patio. Carroll Bros. removed the pools and all vegetation, filled the area with dirt and graded the entire area. We mad sure not to harm the vegetation still being used as a property line in the home owners back yard, we then put down top soil, seed and straw. The City of Annapolis and the home owner are now extremely happy and the home owner has a usable back yard again.